Higher food prices are here to stay in the foreseeable future. 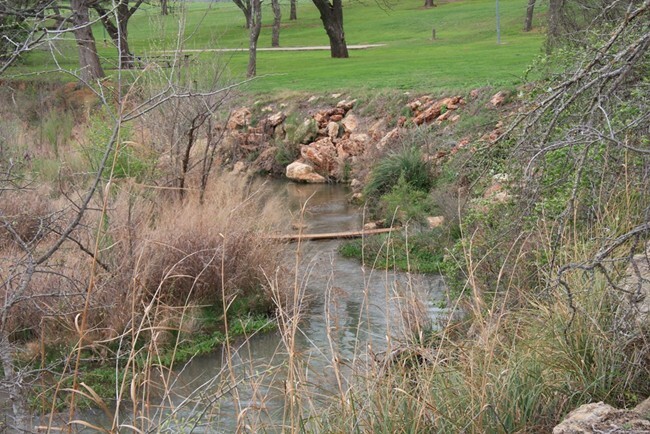 Reasons are numerous – 2011 drought the worst on record. Cow numbers are now at their lowest count in the last 60 years. Beef exports are up 20+% since the BSE scare. City folks say “Holy Molie”, oldtime ranchers say it’s about time. However, record prices doesn’t mean record profits, feeding the animals cost have doubled to tripled, grain seeds have doubled and guess what else- everything, we the people, consume comes to us via ship, train, plane or truck. All these means need fuel, yes, at record high “almost’oil prices. Oil is the best and oldest green energy. Not only fuel, oil, is in most all fabrics of our lives. “Que Paso”. Fbg. Chamber News by Penny Reeh: An article was shared with me from Austin Business Journal that indicated Fbg ranked as having 4th highest % of self-employed among nations 942 metropolitan & micropolitan areas. According to an analysis of data from the U.S. Census Bureau’s 2010 American Community Survey, just shy of 17% of the 11.547 civilian workers in Fredericksburg are self-employed. This compares to a national average of 6.5%. 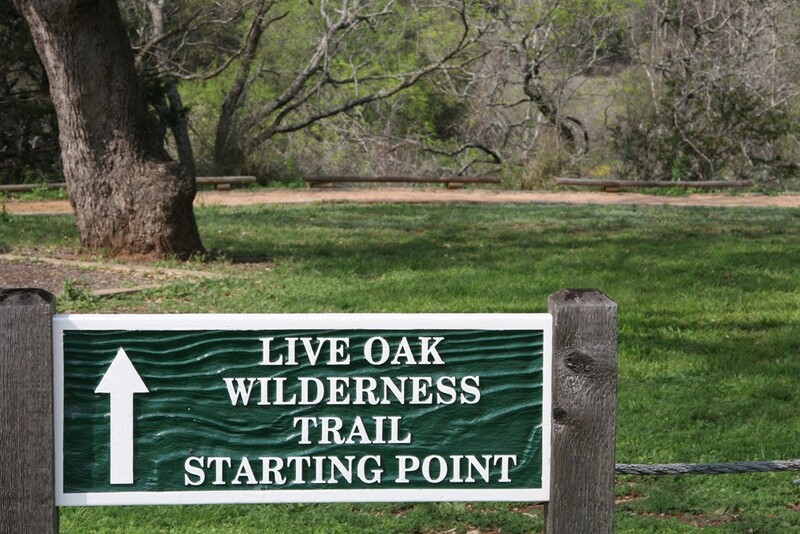 If you visit Fredericksburg and you just have a short time for your “nature fix”, Live Oak Nature Trail is just the ticket. 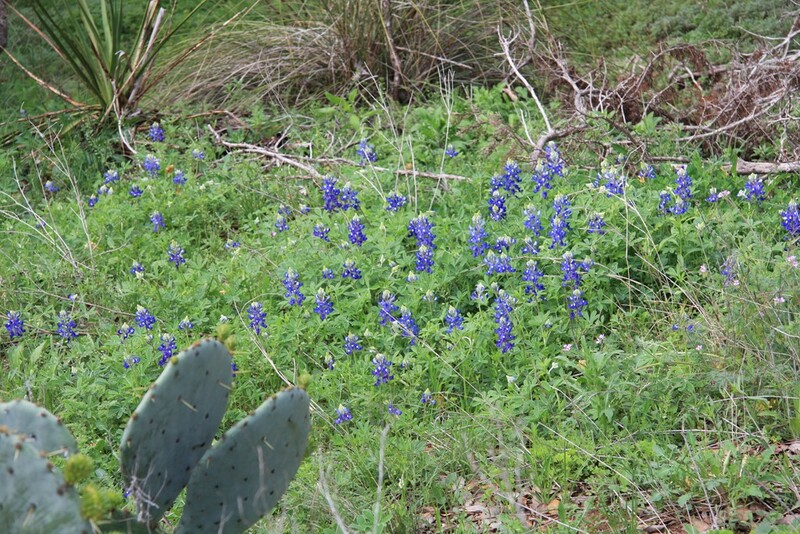 A short trail that features a bird watching area with feeders and a blind, a Buttefly Garden, an informative geological display of rocks from this area, and a beautiful trail along Live Oak Creek which at this time offers a gorgeous display of Bluebonnets. 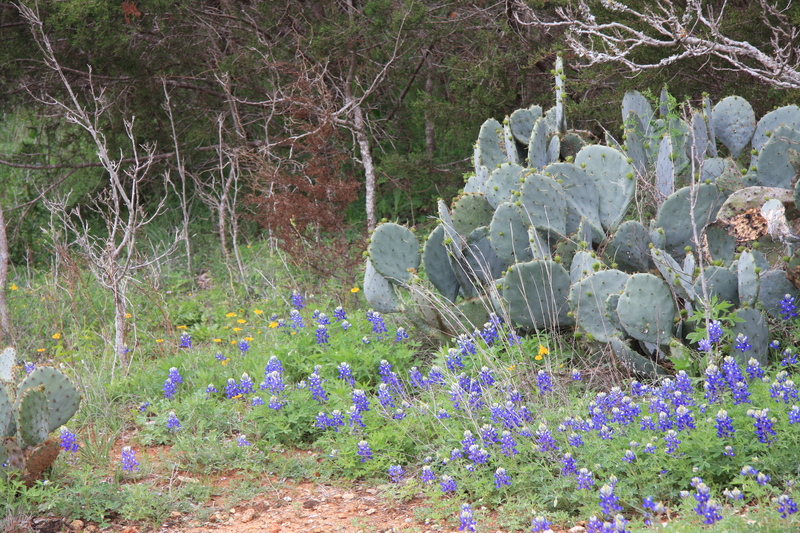 Here are some of the sights as photographed on March 20th. 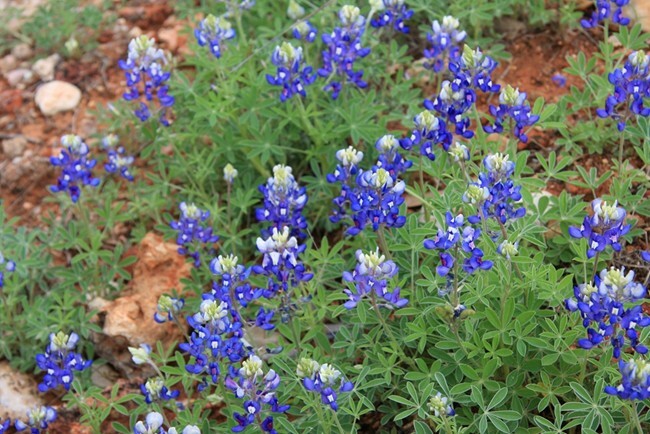 Hurry because the Bluebonnets are not a permanent display. The Park entrance is a short drive south of town on Highway 16. 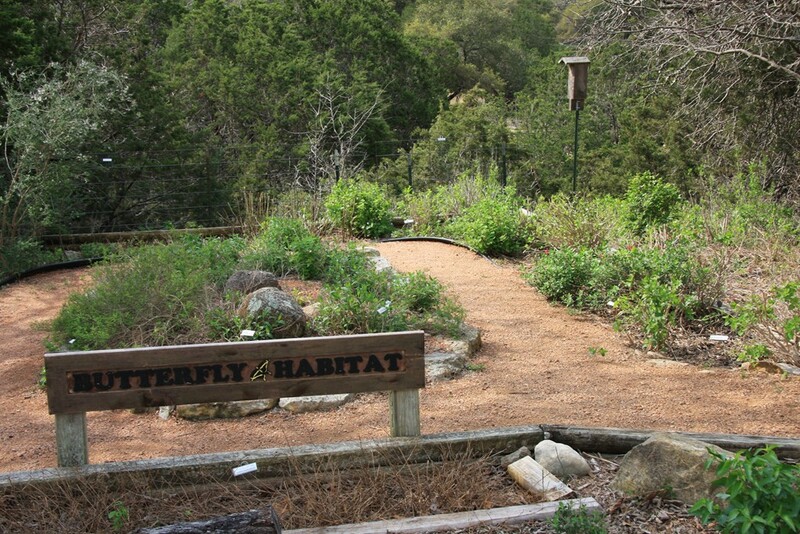 Parking for the Nature Trail is on the left just after you pass the park entry gate. Trail guides are available at the park office across the street. 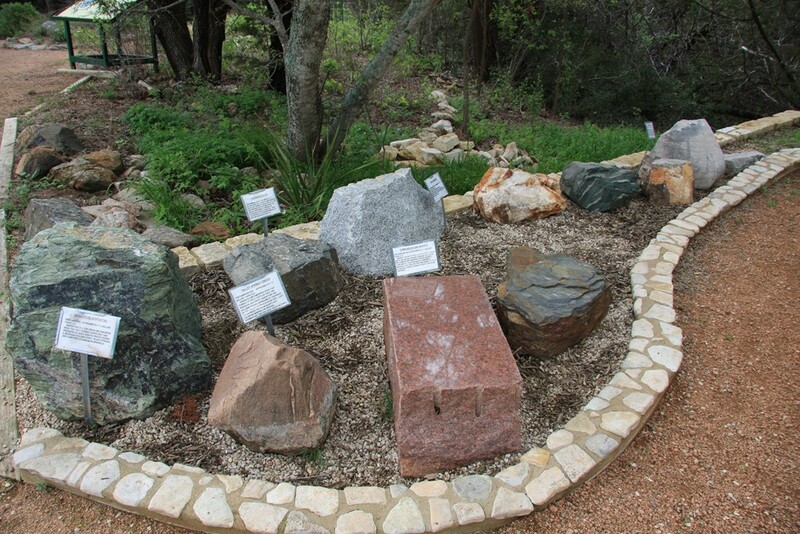 You will see a red granite trail leading two directions. 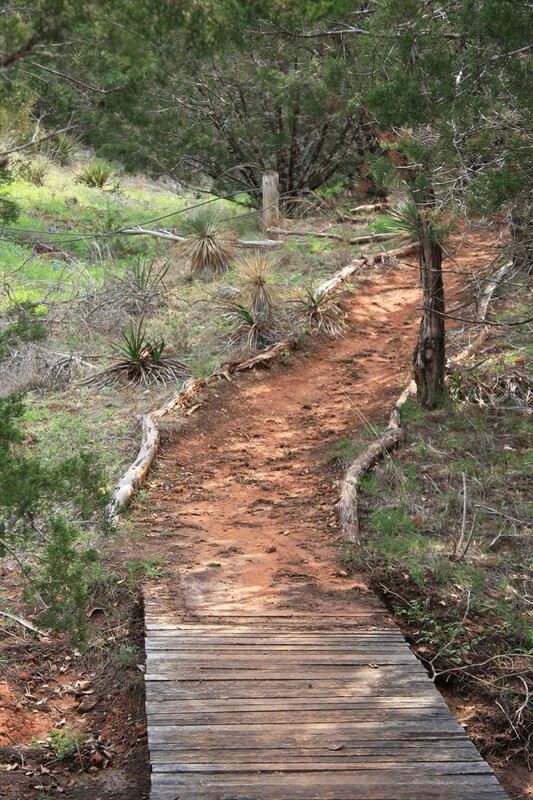 The upper portion of the trail is handicapped friendly. I suggest you proceed to your left on the trail. 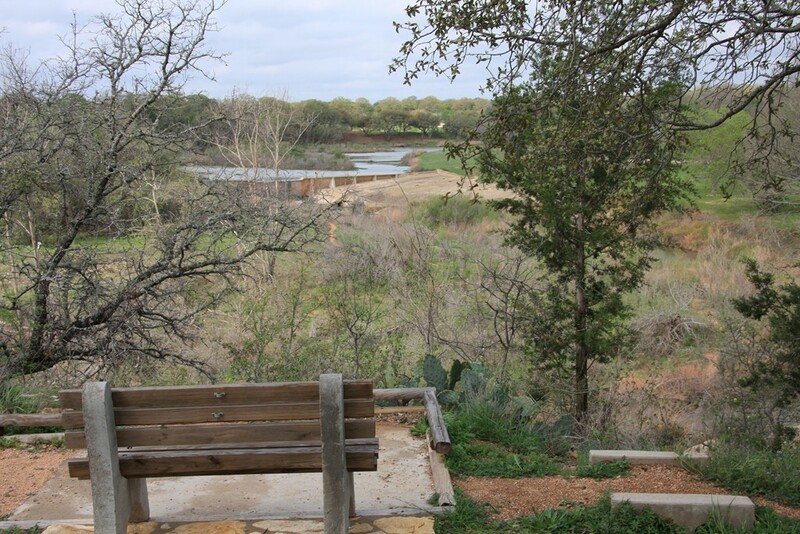 A park bench will give you a distant view of the area that the trail covers. Sit a moment and look it over. 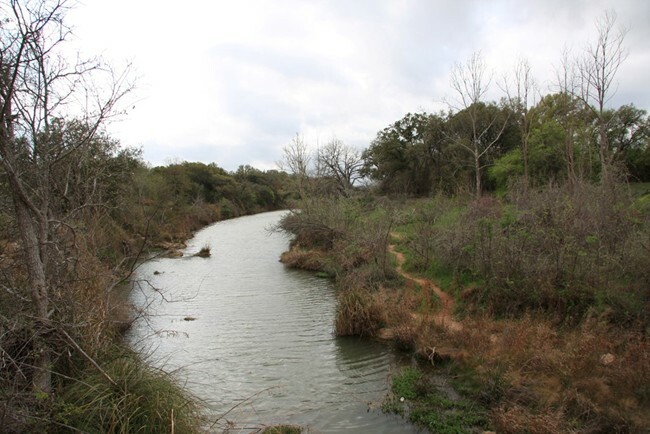 A dam on Live Oak Creek is visible in the distance. 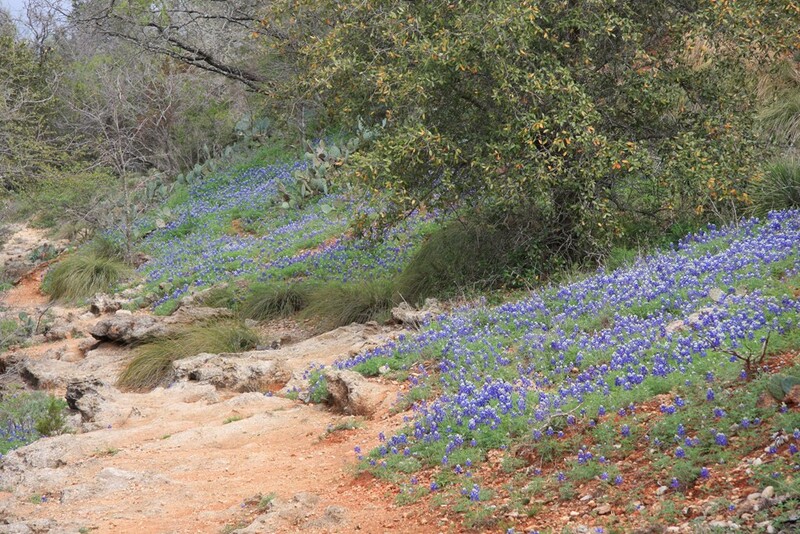 The trail shortly give you first glimpse of Bluebonnets. The Bu tterfly Garden soon comes in view. The blooms in this garden are not yet evident but the bench invites you to return in a few short weeks. The bird watching area is next. 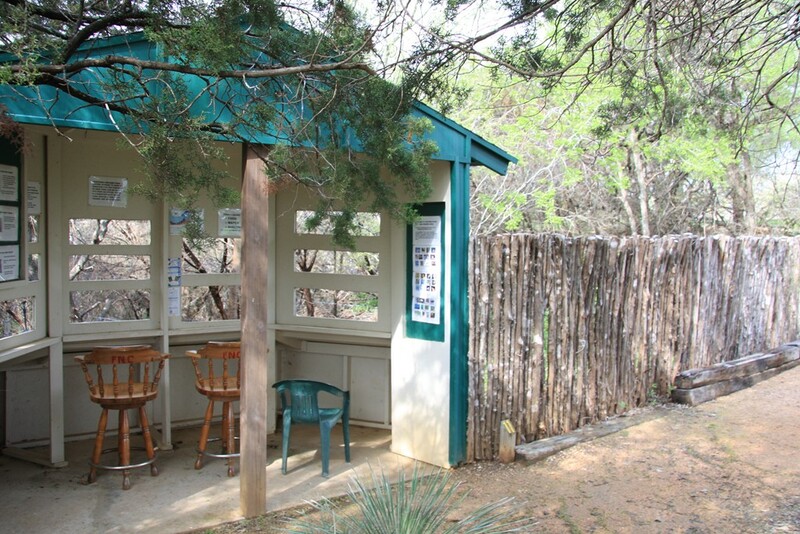 It features a blind for serious observation with a feeding area that attracts a large variety of birds. Charts are displayed to assist you. 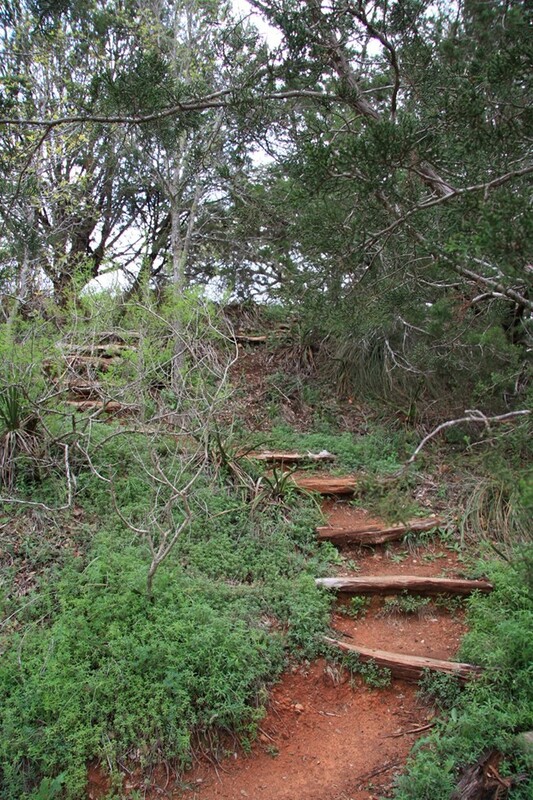 The trail enters the Cedars and leads to a bluff above Live Oak Creek. 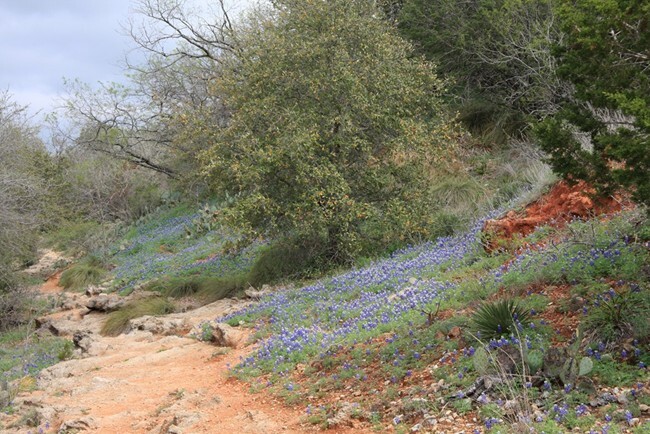 At this time this bluff area has a beautiful display of bluebonnets. The red rock terrain makes the sight more spectacular. Here is a sample. 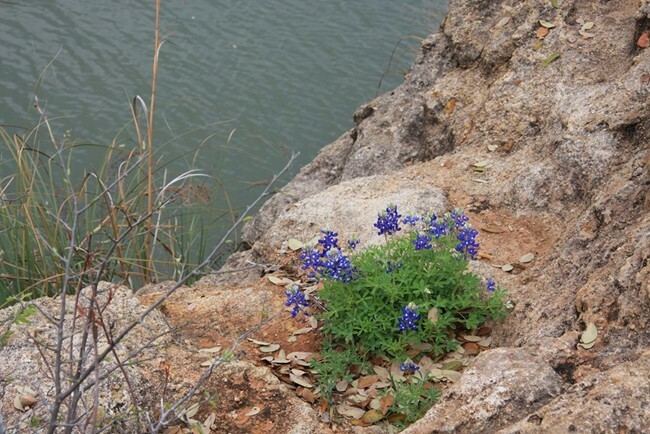 they seem to like to grow among the rocks. 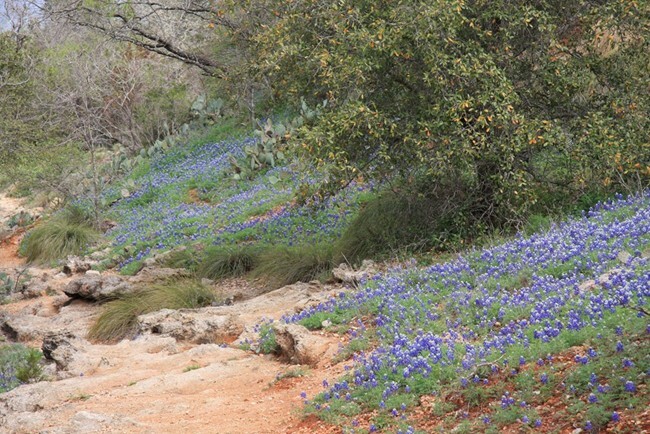 If we let our eyes leave the bluebonnets and look behind us, we have views of Liveoak Creek below and of the bridge which will lead us to the rest of the trail. One final glimpse of yellow and blue and then up the trail thru the Cedars and behold, our car is in view. And the best part is that you are just a short drive from Main Stret and all it has to offer. If you have any questions or want any other suggestions for a fun afternoon, just call your Century 21 Sunset, Realtors Agent. We are ready to help you. From Tony Stevenson, SWBC: I just read a blog that claimed only 4% of consumers access their credit report that, by law, is free each year. That means 96% of us never take advantage of this opportunity to review our credit history. Because of my business, I deal with credit reports and their impact on my clients’ financial lives every day. I cannot stress enough the importance of verifying the accuracy of the information to ensure your score is as high as possible. To obtain your free report, go to http://www.annualcreditreport.com. The report won’t have a score, so to get that you will need to purchase it from one of the three major reporting agencies: Experian, Equifax or Transunion. An alternative can be obtaining an estimated score from FICO (Fair Isaac Corporation) at no charge using their online score estimator, available here. 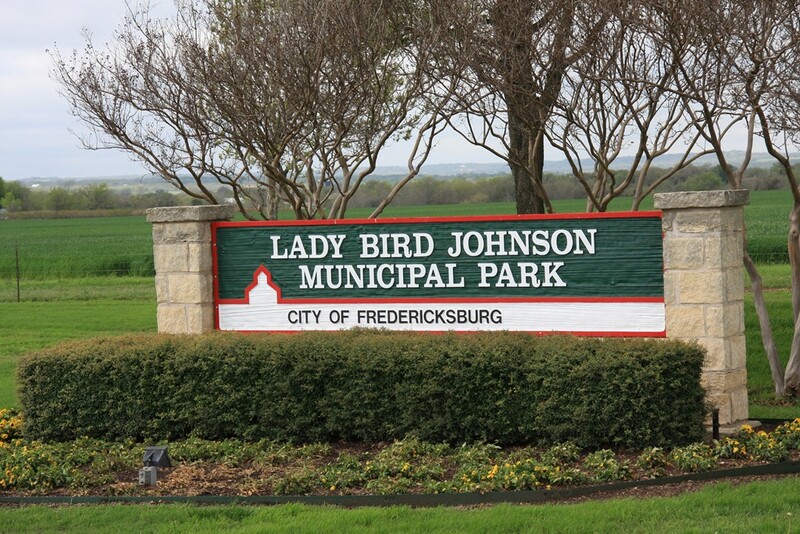 When choosing a town to move to, no matter what your age, a great question to ask yourself is “what kind of medical facility is available?” Here inFredericksburgandGillespieCountyand the greater Texas Hill Country region we are privileged to haveHillCountryMemorialHospital. The establishment of HCMH is a source of great pride for the community, and it reveals a legacy of community involvement and volunteer opportunities. HCMH is a for profit facility. Prior to HCMH’s opening in 1971,GillespieCountyleaders decided not to tax citizens to fund the construction for the new facility. Instead, the community voluntarily committed to donating time and funds to support it. At the end of the drive, 93 percent of the county had pledged or donated. It was an amazing show of support that has continued throughout the years, enabling HCMH to purchasing state-of-the art equipment and recruiting talented healthcare professionals to care for patients. After 40 years, HCMH is still building on its strong community roots. It starts by applying every letter of a powerful mission: Remarkable care for our family, friends, and neighbors-Always! 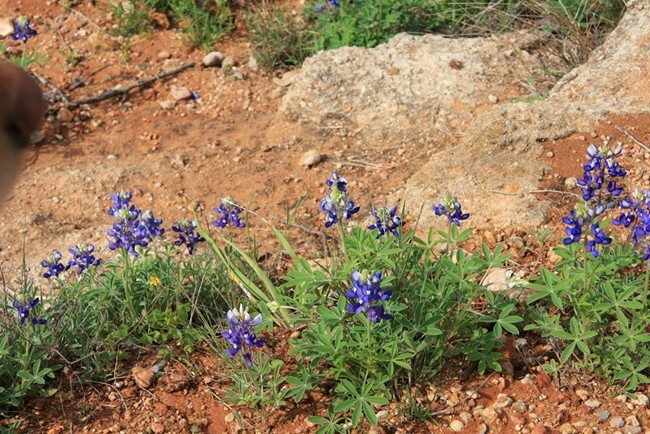 For more information on HillCountryMemorialHospital, services and heath care providers, log on to www.hillcountrymemorial.org. Spring Thursday Night Shows open this week Mar 15, 7:00-Apr 26, Always a Great Show! For information, call 830-997-7625. From Fbg drive east on Hwy. 290 13 mi to Gellerman Lane. Left on Gellerman Lane – Vogel’s Peach stand is on the corner. Along Hwy 290 you will see numerous peach stands & several orchards are visible from the highway.Gellerman Lane is home to one of the largest concentrations of peach trees in Texas. There are about 300 acres of peach trees. 3 to 4miles north of Hwy. 290, orchards are visible for more than a mile. Continue on Gellerman Lane to the intersection of FM 2721. Turn left (west) on FM 2721 toward Fbg.At the intersection of FM 2721 and FM 1631, go straight on FM 1631. Another large orchard on the left a few miles past the intersection. 7 miles from the intersection, FM 1631 intersects Main Street. This route is about 35 miles in length and should take 45-50 minutes to drive. •	Gillespie County is the largest peach-producing county in Texas. •	There are over 1,400 acres of peaches in commercial production. This accounts for 40% of Texas’ peach crop. •	Stonewall is home to the Peach Jamboree, the third weekend in June. •	The average peach tree can produce 3-4 bushels of peaches in a year. A bushel weighs 50 pounds.